How to get an engineer’s guide to CNC tunring centers, most of customers or buyers are not familiar to these knowledge, so many times they always think that they get these prices is higher or lower based on different parts, when our suppliers have explained these machining process to them why our prices is higher, they do not want to know why it is, as they only are concerning their cost, and compare the others supplier to know why there is one of them is lowest. Today, Creatingway we will share these below engineer’s guide to our global customers. What’s the CNC Turning Centers than CNC Lathe? CNC Turning Center Basics, Lathes vs. Turning Centers: What’s the Difference? Most specialists tend to use the terms turning centers and lathers in an interchangeable way. This is because the two terms basically have no formal distinction. More often than not you will realize lathes being used to describe the machines that perform turning operations only while turning centers is used to describe those machines with drilling, milling or other secondary operations. But whether you are working on a turning center or a lathe you will realize that the basic parts are all the same. What’s the CNC Turning Centers included? Gear and speed changing mechanism together with the main spindle are housed here. An electric motor drives the spindle though back in the early days, lathes were driven by the use of a flat belt pulley. More often than not the end of the main spindle has a Morse taper. This is a base that is connected to the headstock. The connection ensures that the spindle access moves in parallel with the tailstock and carriage. The tailstock and carriage are restrained in a set rack by the bedways so as to facilitate movement. Feedscrews are long driveshafts connecting to a series of gears that are on the apron so as to allow the carriage to drive along the Z-axis. The function of the leadscrew is the same only that it operates orthogonally to the feedscrew hence causing movement of the carriage along the X-axis. It is composed of the top/saddle and apron/the side. It moves the cutting tool perpendicularly for facing operations and longitudinally for turning operations. This is the center mount that is positioned on the opposite side of the headstock. The spindle that is found in the tailstock does not rotate. 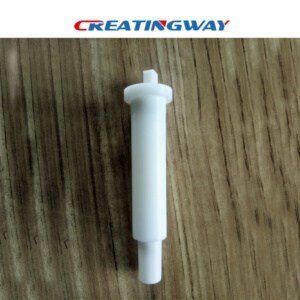 From the function of a leadscrew, it moves longitudinally. Facing operations are performed on the edge of a part so as to come up with flat surfaces. Threading operations tend to produce threads internally or externally on a part. Knurling operations are used on cylindrical surfaces so as to create a kind of roughness that is regularly shaped. Drilling is an operation performed on parts so as to come up with holes. Boring operations involve the production of internal grooves that are circular in nature by enlarging a cavity or a hole. The operations here involve the finishing and sizing of existing holes. This is where gradual reduction of the diameter takes place over the length of a workpiece. What’s the CNC Turning Centers Configurations? There are basically two types of turning center configurations. That is the vertical turning and the horizontal turning. There is also the existence of inverted vertical turning centers. They reverse the positioning of the chuck and that of the spindle. They all have basic components of the same nature but in their orientation is where the difference comes in. Whichever you want to opt for will depend on a number of factors although you can find help o make a decision through some simple rules of thumb. What’s the CNC Turning Centers Applications? Today turning applications are used in various metal cutting industries such as aerospace, automotive, agriculture, and on various gears among other industries. Basically in almost all industries. 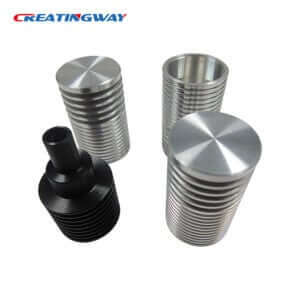 Manufacturers, machine shops, and other stores involved in some kind of manufacturing activity have turning applications as principle consumable products for their manufacturing processes.